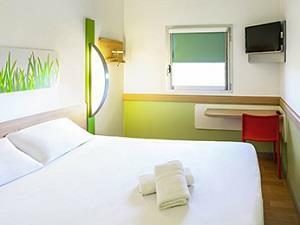 The Ibis Budget hotel is the ideal place for both short and long stay trips, catering to families, couples, friends and business guests. Room come with free Wi-Fi, en-suite shower, air-con, and digital TV. 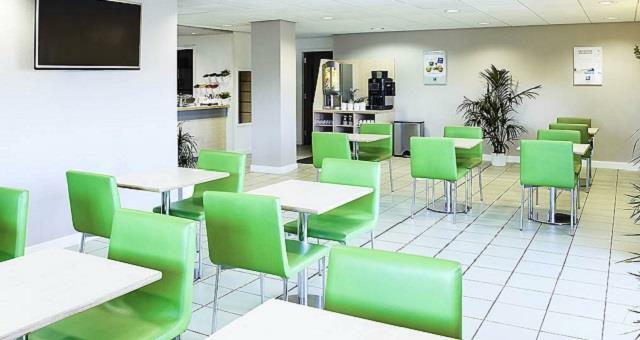 We serve a delicious continental breakfast buffet and are less than 30 minutes' drive from East Midlands Airport, 10 minutes' from the National Space Centre and 20 minutes' from Leicester FC stadium. The hotel comes with 80 free outdoor parking spaces. Exit M1/J21A then merge onto A46 signposted Leicester. At roundabout take 3rd exit onto A6.